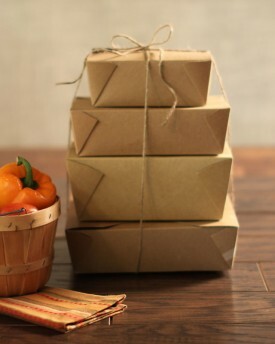 Our selection of kraft paper to go containers are durable, strong, and recyclable. These products are made from recycled paperboard and have many convenient uses. Available in a variety shapes and sizes. Customized corporate lunch boxes available in many shapes and sizes - please contact us to inquire!